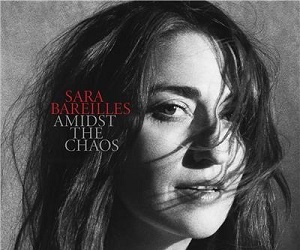 Community \ Competitions \ CD Giveaways - Sara Bareilles – Amidst The Chaos CD! Teaming up with legendary Academy® Award-winning producer T Bone Burnett, 'Amidst The Chaos' is Sara's fifth full-length album and first since 2013. We have 5 Copies of 'Amidst the Chaos' to give away, thanks to our friends at Sony Music! Sara Bareillies starred in and wrote all the music for what hit Broadway show? Send your answer, full name and postal address simply by clicking here.